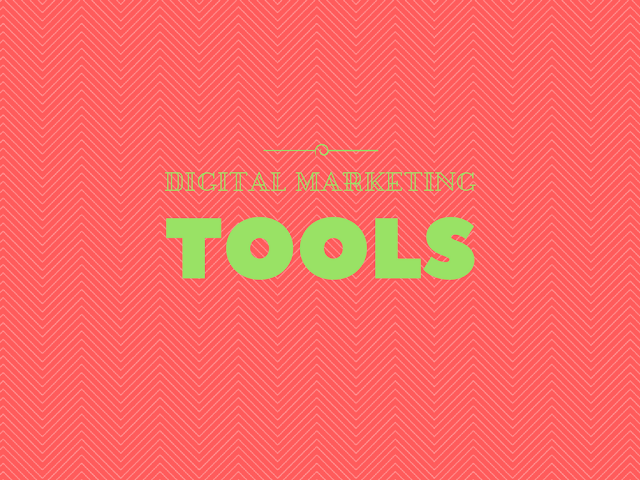 Which Digital Marketing Tools Are Right for Your Customers? Digital marketing is one of the only industries where it pays to be a jack of all trades. To succeed, you need to know something about pretty much everything, from SEO, copywriting and web design to web development, sales and of course marketing. So it’s no surprise that so many different digital marketing tools have been developed to help us juggle all those different balls. There are thousands of options and you’re left wondering, how do I figure out what tool is right for my business? 42 Online Marketing Tools for Digital Marketers is a handy infographic that shows exactly what it says on the tin. The infographic looks great and the clean design means that you can discover all 42 of the tools at a quick glance, but it’s packed full of enough information to make it worth taking time over. Each tool gets a single sentence explanation that quickly sums up what it does, as well how much it costs – perfect for digital marketers who might want to try something new without breaking the bank. All your favourites tools are there, from Yoast to MailChimp, and hopefully you’ll discover a few more to add to your toolbox! It’s the blog that accompanies the infographic that hits hardest though, when it offers this golden nugget of advice, “The right marketing mix depends on your customers. Knowing what your customers appreciate and respond to helps you choose the best tools from the toolbox.” So one of the first things you must do is think hard about what it is your customers wants! Hopefully you’re starting to think about whether or not you’re utilizing the right online marketing tools to target the right market. For example, if you know for a fact that your customers respond better to visual content than written content you might want to use Prezi to better engage your customers. Tools like TextBroker and CopyScape may not be the most helpful, but incorporating Prezi or Canva can help you create stunning graphics and interactive presentations. Not only do you have a better piece of content, but you’re saving time and money by doing it yourself. Prezi - For Awesome looking presentations. Canva - For quick and stunning looking infographics and high quality images. PicMonkey - Second choice after Canva for quick image editing. MailChimp - Send Newsletters to your email subscriber for free. Trello - Manage a project with many different things.